Join the club and refresh your ride as much as you want, whenever you want! When you purchase a CLUB MINT monthly membership, you’ll enjoy UNLIMITED car washes with complimentary vacuums and mat washing with every wash. When you register, we’ll give you an RFID tag to display in your vehicle. Our automated pay stations will recognize you immediately via your unique tag, and you’ll be free to drive through the Club Mint priority lane – no waiting, and no stopping, required. It’s fast, easy and convenient, and with no contract, you can cancel anytime. For more information, or to view our terms and conditions, download our brochure. 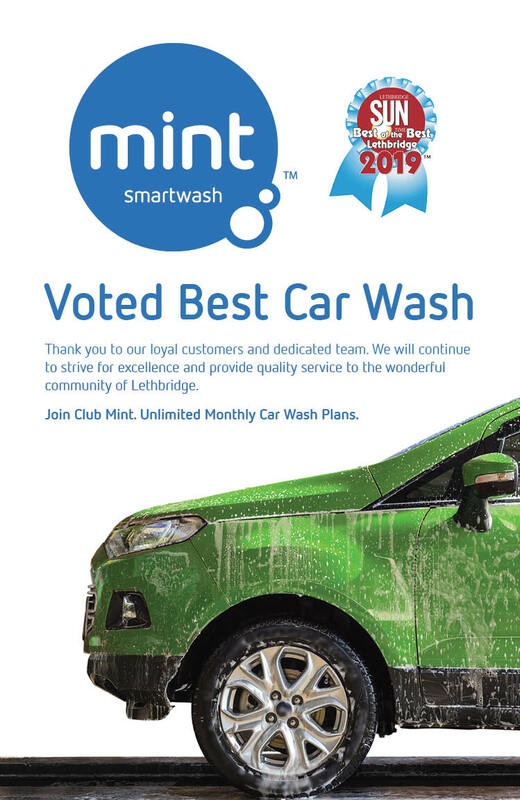 To purchase your Club Mint membership, simply fill out the PDF form below and bring it to our Lethbridge location. Our staff will give you your tag and you’ll be good to go! Questions? Please contact us to learn more about Club Mint.